Sold by: NEO tech distribution. Sold by JS Deal and ships from Amazon Fulfillment. Sold by Rock The Mic and ships from Amazon Fulfillment. 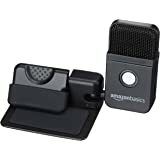 For whatever reason, Amazon does not allow me to post a video review for this, so if you would like to hear the sound and difference among the modes, please check out my YouTube channel. The link could be found on my profile. Update: Was able to post this video here. 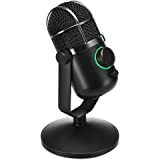 I wanted a mic that would help me increasing the quality of my ASMR videos (please Google what that is) that generally require high quality audio. 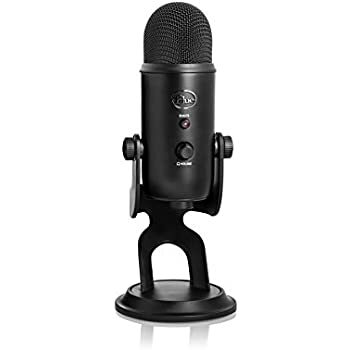 I was considering Blue Yeti or Zoom H4N and decided on Yeti, mainly because of the price point. 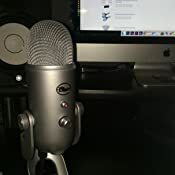 3) Simple set up, just plug the microphone in the USB port on your computer, and select the mic as a default in the settings (the mic also comes with a simple instruction booklet). 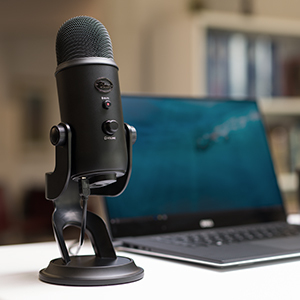 4) No SD card required, this mic records straight into your computer. 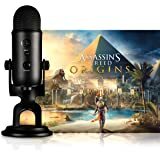 I use the default sound recorder that comes with Windows, but there are other options available if you want to play with the sound. 1) Not portable. Since it is a USB microphone, you are tied to your computer. 2) Bulky and heavy. 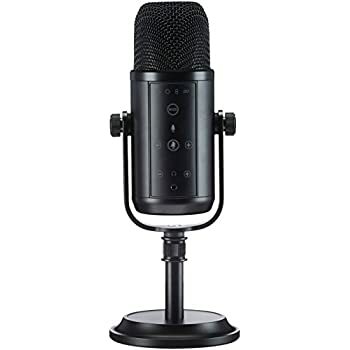 This is a tabletop mic. Overall, I really like it! I think portability is the primary issue for me, but I knew what I was purchasing. 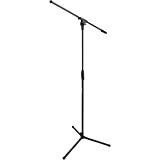 2.0 out of 5 starsFound out from Blue that this is a B Stock! Updated review. Bought about 7 months ago and it recently broke. 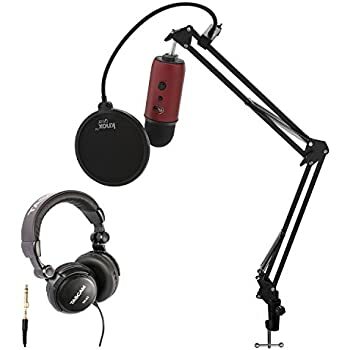 I've used it sparingly for a few podcasts. 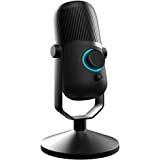 Initially I thought the audio sounded nice but after comparing it to other mics I have (Rode NTK, AKG C3000B, AKG C414) it just doesn't measure up to good professional quality recording mics. 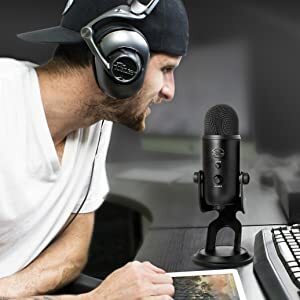 At the most it is good for individual vocals on streaming podcasts, which is what it really is intended for. Gotta dock a star for Blue's customer service. It took a full week before they replied back to me with a return authorization and they won't even send me a mailing label. I have to eat the shipping cost! I also have to dock another star because they "inadvertently" let me know this was a B-Stock when I registered the serial no. with them! 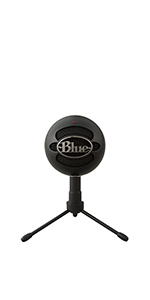 Blue Microphones is selling B-Stock as if they were brand new on their Amazon store! 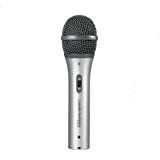 Something was wrong with this microphone to begin with. No wonder it died in less than 7 months with hardly any use at all. I'm shipping it back at my expense and hope they will honor the warranty. 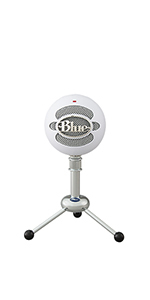 But from my recent experiences with Blue microphones I can't recommend them. Wouldn't buy from Blue again. 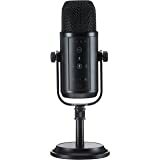 Now this has to be the best mic for streaming radio stations. The best I have run into. 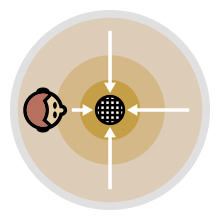 The one feature we love is the headphone jack built into the mic. 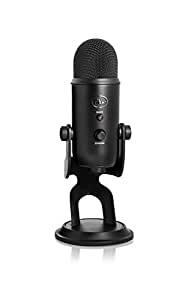 If you ever tried to stream through a Windows pc you will notice a delay between your live voice and what goes through the mic. 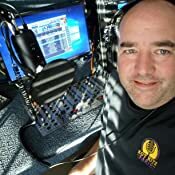 Most radio dj's use headphones when going live. If you have .5 to 1 second delay this can really mess you up. 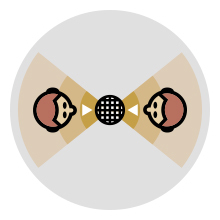 There is no delay when you plug your headphones directly into the mic. 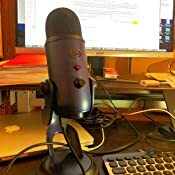 The Blue mic seems to be built very well and the sound quality also seems very good. So far so good. 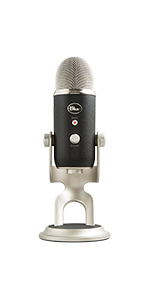 The Blue Yeti is Hot Hitz Radio's main mic now!! 5.0 out of 5 starsBest option by FAR for dictating to Dragon! Best USB Microphone ever! OK, sounds repetitive. But it is true. 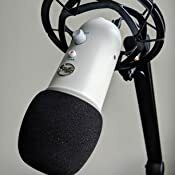 While podcasting would be fun, one overlooked use is for dictation. I use Dragon on my Mac. 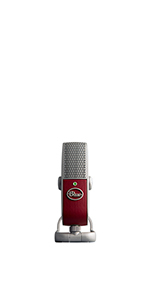 I have spent over $1,000 fruitlessly on microphones from Samson, Phillips SpeechMike, Plantronics, and many others. NONE of them are consistent. I have decided the microphone quality is generally quite poor, as is noise rejection. They are generally poorly directional, having immense shifts in frequency response depending how off axis you are. This radically affects recognition with even a few degrees off axis speech. 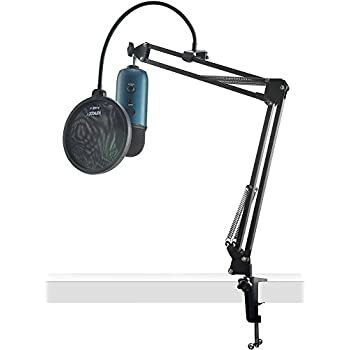 The Yeti, on the other hand, is a very high fidelity microphone, it has tunable directionality, and maintains balance when even significantly off axis. 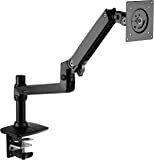 I set it on my desk and can dictate with the best fidelity and accuracy I have ever experienced with Dragon. Dragon now is actually useful. And...it looks way cool on my desk! 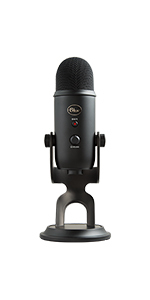 Here is my full video review of the Blue Yeti microphone that I made for my YouTube channel. 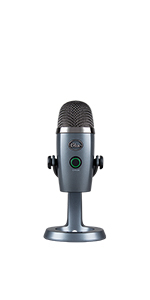 In this video I cover the build and sound quality of this great microphone. Thanks for watching and enjoy!